Home/ News/ 2018 Mayoral Race/Bond Bounty Pt 5: ADA scores DOUBLE his full prosecutor salary in bond fees. Attorney Joshua K. Williams graduated from law school in 2013 and was admitted to practice law in Louisiana on May 8, 2014. Since this time, Mr. Williams has worked full-time for the Caddo Parish District Attorney’s office as an Assistant District Attorney (“ADA”). 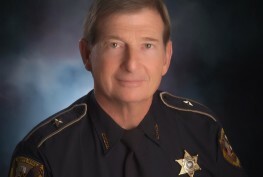 His job is to support our frontline police officers by prosecuting those accused of breaking the law in Caddo Parish. In this role, Mr. Williams’ salary has increased from $51,750 to $61,000 over four years (See “Salary” document below). Crazy as it seems, public records indicate that it is permissible within certain limits for our full time Caddo prosecutors to make “side money” apart from their full time jobs in other capacities (See “Handbook” document below). Beginning in 2015, or after just one year of criminal law practice, Mr. Williams got his first taste of a bond bounty when he was picked to serve as “Co-Disclosure Counsel” for a $120,000,000 water and sewage bond (see “Bond Payout” document below). In this role, Mr. Williams was paid approximately $18,000.00 for his “legal services.” Mr. Williams’ bond bounties have only increased since then: $37,000 in 2016; $64,000 in 2017; and $31,500 so far in 2018 (just for the first water and sewage bond). Yes, you read that correctly: Mr. Williams made more money as “Co-Disclosure Counsel” in 2017 than he did in his full-time job as an ADA serving under Caddo District Attorney James Stewart. As more is uncovered, it is apparent that City Hall began to pass out piles of taxpayer money to preferred attorneys in these bond issues in a way that does not even care to hide the political patronage at hand. 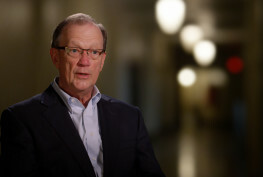 These massive payoffs worth hundreds of thousands of dollars to politically connected attorneys comes as voters prepare to vote this Saturday on property tax millages. Ollie Tyler’s administration has openly threatened to make intentionally painful cuts to services should these taxes fail at the ballot box. Tyler’s insistence that services must be cut comes alongside a deafening silence from the administration regarding a litany of issues… the mountains of wasted tax money in bond “co-counsel” fees, bloated City payrolls, multiple water billing scandals, a City Hall FBI investigation, A&E Committee appointment/contractor scandals, a convention center/hotel soaking taxpayers each year, a failed publicly-funded Cross Bayou arena project, attempts to take over the MPC, plus sky-high crime rates in 2017 (I’m sure I’m forgetting quite a few more). The question is: Are voters so repulsed from the constant barrage of City Hall corruption and cronyism that they show up at the ballot box and demand reform… or will they remain quietly dizzied at the sight of our local mess and choose to further fund our failing City government for fear of worse reprisal from those elected to “serve” the people? Part 2 – New info reveals Washington set to make half million dollars in bond “fees” since 2014! Part 4 – Bond Commission report shows Shreveport payoff to Washington is comparably huge!